This article is about the township in the Marlborough region of New Zealand. For the town in the Hawke's Bay region of New Zealand, see Havelock North. Havelock is a coastal township (in British English: village) in the Marlborough region of New Zealand. It sits at the head of Pelorus Sound, one of the Marlborough Sounds, and at the mouth of the Pelorus and Kaituna Rivers. The 2013 census recorded its population as 486, a decrease of 3 since 2006. Havelock from the air looking north, at low tide. State Highway 6 from Nelson to Blenheim passes through the town. Queen Charlotte Drive, which provides a shorter but very winding road to Picton proceeds east along the edge of the Sounds. Canvastown lies 10 kilometres (6.2 mi) to the west. Renwick is 31 km (19 mi) to the south. Picton lies 35 km to the east. Havelock serves as the centre for much of the New Zealand green-lipped mussel industry, and is called[by whom?] the greenshell mussel capital of the world. It also functions as the base for a mail boat servicing the remote communities in the Marlborough Sounds, as well as for many fishing and recreational boats. The name "Havelock" commemorates Sir Henry Havelock (1795-1857), known from the Siege of Lucknow during the Indian Rebellion of 1857. The streets were laid out in 1858, with Lucknow Street as the main thoroughfare. The gold rush to the Wakamarina Valley in 1864 boosted the growth of the township, with sawmilling becoming the main activity until the 1910s, later joined by dairying. The valleys around Havelock contain many pine plantations. Across the Kaituna River estuary, the Cullen Point Scenic Reserve and the Mahakipawa Hill Scenic Reserve offer a coastal walking-track to a lookout at Cullen Point. Havelock School is a coeducational full primary school (years 1-8), with a decile rating of 7 and a roll of 86. The school was founded in 1861. ^ "2013 Census QuickStats about a place:Havelock". Stats NZ. ^ Roger Smith, GeographX (2005). The Geographic Atlas of New Zealand. Robbie Burton. map 132, 138. ISBN 1-877333-20-4. ^ "Havelock, Pelorus and Kenepuru Sounds". Destination Marlborough. Archived from the original on 2010-05-24. Retrieved 2010-01-07. ^ Marlborough Historical Society (2005). Click - A Captured Moment - Marlborough's Early Heritage. p. 68. ISBN 0-473-10475-X. ^ a b "Famous Students". Havelock School. Archived from the original on 2008-10-14. ^ "RollCall 2011 - Havelock School 150th year Anniversary". Havelock School. Archived from the original on 2011-07-24. 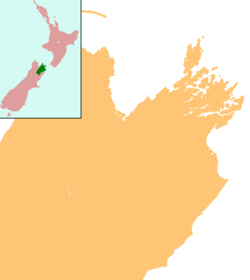 Wikimedia Commons has media related to Havelock, New Zealand.